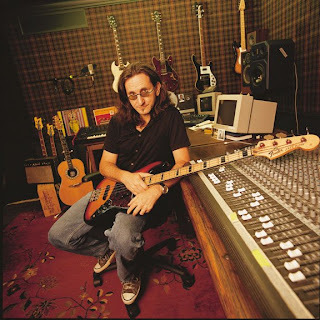 Rush bassist/vocalist Geddy Lee made a guest appearance on Q104.3's Jim Kerr Rock And Roll Morning Show in New York on Thursday to talk about the band's upcoming induction into the Rock And Roll Hall Of Fame, the Clockwork Angels tour, baseball, his kids and more. The same week, Rush are nominated for two 2013 Juno Awards in their Canadian homeland. The rock veterans are up for Group Of The Year, and Rock Album of The Year for “Clockwork Angels”, which will see them compete against projects by The Tragically Hip, Billy Talent, The Sheepdogs and Big Wreck. Hosted by Michael Buble, the 2013 Juno Awards will take place at Regina's Brandt Centre and air live on Sunday, April 21st on CTV.